Whether you have school age children or not, if you live in Coburg the provision of a proper high school here in Coburg is still important for you as it would reinforce the existing sense of community that is such an important part of living here. Many of us living in Coburg know of families who feel the need to move out of the area as soon as their children reach high school age because the available options in Coburg are scant and often inappropriate for the majority of families. The loss of these families is felt by those who remain, and undermines the long term commitment to the area that would otherwise be made by departing families. 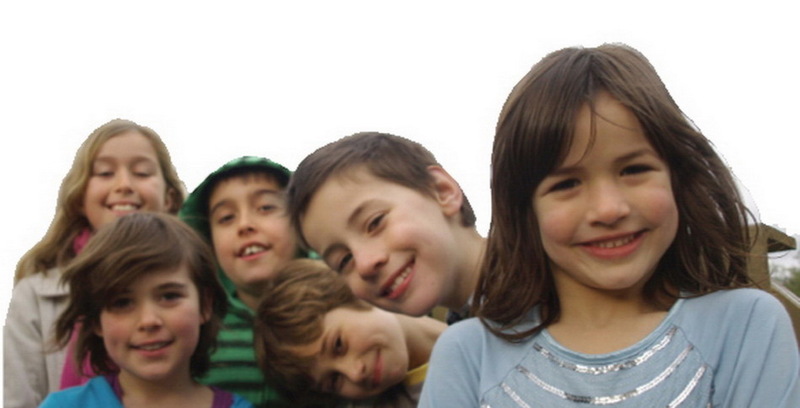 First day of school, 2010 - will any of these children have the choice of going to the same high school? Additionally, even for those children who elect to travel outside the local area for their secondary schooling, the lack of a local community of school age peers is a major inhibitor to the formation of strong local friendship groups. 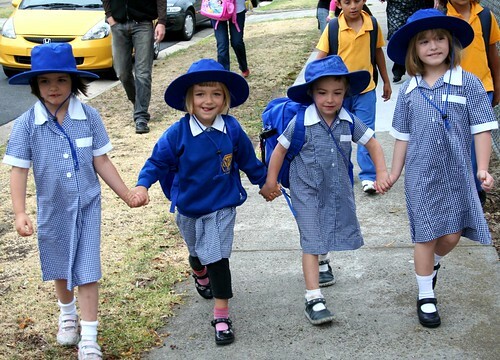 Because these children often attend a variety of other schools, there is a tendency for them to stick to friendship groups centred around their own relatively distant school zone, as opposed to being in Coburg itself. This also undermines the sense of community and civic pride in our school age children. The loss of young families from the area and the destruction of local primary school friendship groups undermines our whole community. Thanks for your article Peter. You have made some good points that can't be ignored.